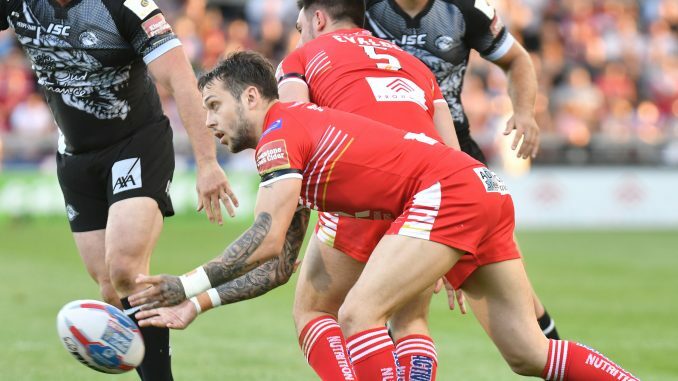 Gareth O’Brien will play at half-back alongside new signing Jack Littlejohn for Salford in Sunday’s friendly against Swinton. Littlejohn, 26, is set to make his first appearance for the Red Devils at the AJ Bell Stadium following his arrival from Wests Tigers. He has been handed the unenviable task of succeeding Michael Dobson at number seven. Niall Evalds will start full-back with Ian Watson naming a strong team for the visit of the Lions, who are using the AJ Bell Stadium as their training ground this season. Watson told the club’s official website: “It’s going to be a great local derby. “We have had a great pre-season, but so will everyone else, until such times as they play in a game, because then you are tested under pressure. So there are few things there for to think about. Salford team v Swinton (Sunday 1pm): Evalds, Johnson, Welham, Sa’u, Bibby, O’Brien, Littlejohn, Tasi, Wood, Mossop, Jones, Hauraki, McCarthy. Interchanges: Lui, Kopczak, Tomkins, Griffin, Flanagan, Nakubuwai, Brining, Vatuvei, Olpherts, Nzoungou, Murray, Bennion.